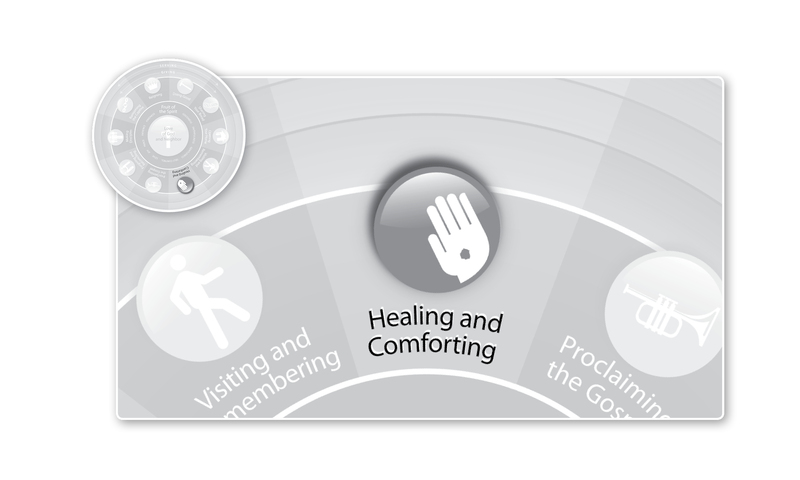 ← What Does Fixed Prayer Have to do With Healing? As we learned in Friday’s post, Christians have been praying fixed prayers (not ones they came up with) at fixed hours of the day (not whenever they felt like it) for a long, long time. This practice relates to the Work of Mercy of Healing and Comforting in some very practical ways, but before we get to that, I want to revisit those two questions we concluded Friday’s post with. First: Why might Christians have prayed psalms and other Scriptures rather than their own extemporaneous prayers during their fixed hour prayer time? If we’re honest, we have to admit that most of our praying is self-centered. Even when we start off extolling God and His greatness, it most often is just a show of praise in hopes that God will think good things of us and grant us all of our wants and needs. It’s almost like we need to let God know the day’s announcements and agenda so He can make sure our day goes well. We treat prayer as though it were a fax machine to heaven that puts our list of needs on God’s desk so He can serve us better (p. 123). This certainly doesn’t mean that praying our own extemporaneous prayers is wrong—by no means. But it does mean that praying only our own extemporaneous prayers probably is. If Jesus and Peter and Paul and Christians down through the Middle Ages prayed a mixture of the Psalms and their own extemporaneous prayers, there’s probably a good reason why. And as we’ve just talked about, the reason likely is that if all we pray is our own prayers, we’re going to remain intensely focused on ourselves. Second, then: Why did Christians—from Jesus on through the Apostles on through the Middle Ages—pray at specific hours throughout the day? Just as praying the Psalms reminds us to concern ourselves with God and not just our own needs, praying at set hours every day has a way of reminding us that each part of each day belongs to him. When we observe fixed hour prayer, we are reminded every few hours that the day itself belongs to him, and our living is intended to be our whole life offering. “Yes, but isn’t that why we pray before each meal and at the start of each meeting?” Well, yes. But typically when we pray at these times, what’s our focus? It’s on ourselves and our agenda. And that’s not bad. After all, God cares about us! A lot! So right before a meal or a meeting is a great time for our own extemporaneous prayers. But if the only times we pray during the day are right before our own activities, well, the day—and the agenda thereof, and the concerns and issues therein—are pretty much set by us. So rather than thinking of these things as an either/or—“either we pray the Psalms or we pray our own extemporaneous prayers,” “either we pray at fixed hours or we pray before we eat or have a meeting”—we think of them as both/and. We do both, because each has its own particular purpose in growing us to fullness in Christ. Besides, since our purpose as human beings is to mirror Christ and his goodness to us into the world, we should ask, “Which way did Christ pray?” And the answer is: both ways! He prayed at fixed hours and before each activity. He prayed the Psalms and his own extemporaneous prayers. If we are seeking to mirror that into the world, then we should go and do likewise. What objections do you have to praying this way? This entry was posted in Uncategorized and tagged Christianity, Fixed Prayers, Healing and Comforting, Prayer. Bookmark the permalink. 1 Response to Why Pray Fixed Prayers?